2. Can you make customized logo on the trucks 9 Yes, there are 2ways, printed logo and engraved logo . 6. 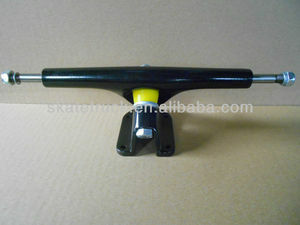 What are the popular size of the skateboard trucks9 The regular size are 5 &rdquo; , 5.25 &rdquo; ,5.5". 7. What are the popular size for the longboard trucks9 The regular size are 7 &rdquo; ,7.25 &rdquo; , 8 &rdquo; . 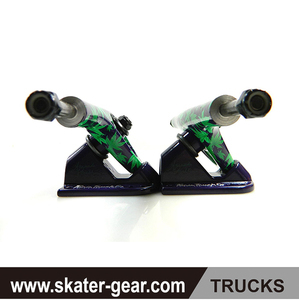 ,Ltd is a skateboard truck OEM manufacturer, we produce various of skateboard trucks with top quality and competitive price. We can make various finish trucks, such as tumbled, powder coated, water transfer, polished and logo printing. 3. We have the ability to make any new truck design with new technology . 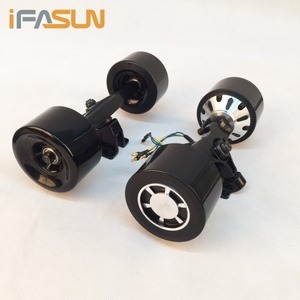 180mm REVERSE KINGPIN LONGBOARD Skateboard Cruiser TRUCKS 180 DOWNHILL Aluminum Truck Original Factory and OEM Supplier This auction contains a pair of Brand new, Never mounted 180mm Longboard Trucks. Compared to the normal vertical kingpin trucks, the reverse kingpin trucks offer more responsiveness, (especially at high speeds) - a much larger turning radius - and a higher baseplate making for a taller ride. Specific Attributes Hanger Length - 180mm (7.0") Total Axle Length - 244mm (9.6") Total Truck Height - 74mm (2.9") Kingpin Angle - 42&deg; Bushing Hardness - 92a Hole Pattern - Drilled for both hole patterns We also have other design skateboard for you ! 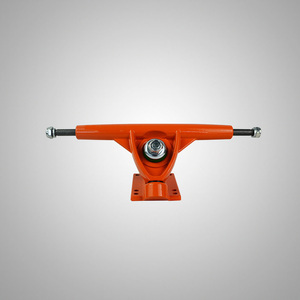 Alibaba.com offers 394 precision longboard trucks products. About 84% of these are skate board, 1% are scooter parts & accessories. A wide variety of precision longboard trucks options are available to you, such as paid samples, free samples. 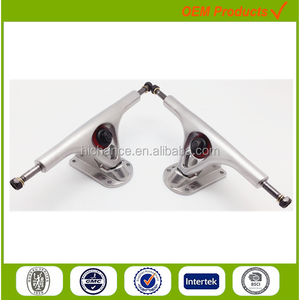 There are 393 precision longboard trucks suppliers, mainly located in Asia. The top supplying country is China (Mainland), which supply 100% of precision longboard trucks respectively. 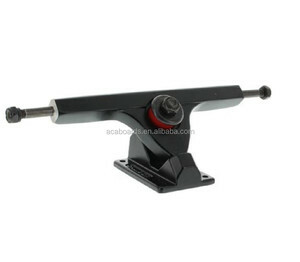 Precision longboard trucks products are most popular in South America, Western Europe, and Southeast Asia. You can ensure product safety by selecting from certified suppliers, including 32 with ISO9001, 24 with BSCI, and 3 with Other certification.